Help with this question. See how to check brakes are working before starting a journey. Answer. Explain to the examiner that you would activate the hazard warning lights and walk around the car to see if all the indicators are working correctly. (Note: Operating the hazard warning lights is the preferred method as the ignition will not need to be switched on). Help with this question. See when to use fog lights. Help with this question. See how to switch from dipped headlights to main beam. Help with this question. 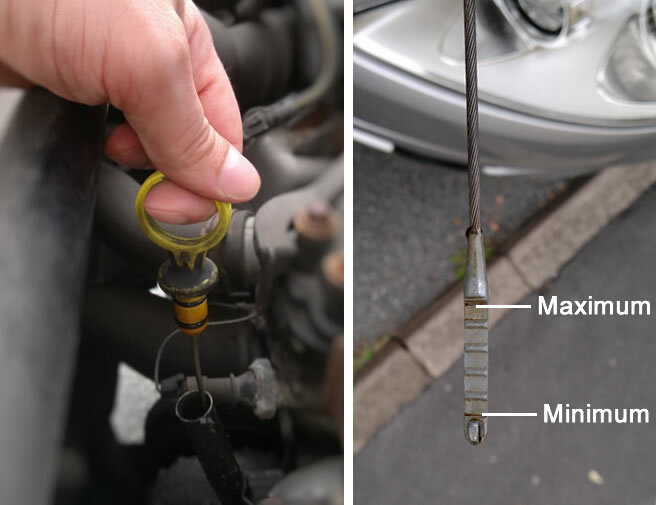 See how to check engine oil. Help with this question. See how to wash and clean the front windscreen. Show Me Tell Me answer 4 explains there should be a minimum of 1.6 mm of tyre tread depth to remain safe and legal whilst driving. 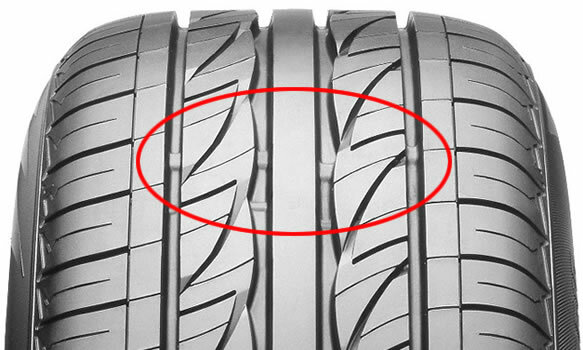 Inside the tread are small raised rubber mounds as can be seen in the image. These are tyre wear indicators and once the tyre tread reaches these markers, it has reached the minimum legal limit of wear and requires changing. Show Me Tell Me answer 13 explains you should Identify the engine coolant tank and to check the minimum and maximum level indicator. Each make of car will have a different looking coolant tank but will look similar to the one above. Minimum and maximum level markers should be indicated on the tank. 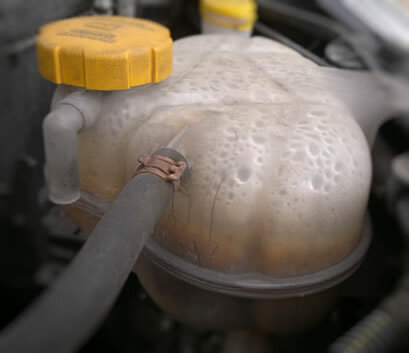 Allowing the coolant level to fall below the minimum for long periods can cause overheating and damage your car.